How to rip copyright DVD and edit DVD on Mac OS X? 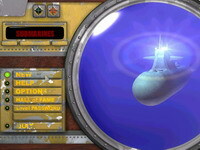 Submarines for Mac is Mac Submarines game with excellent rendered 3D graphics, music and sound effects. Destroy enemy subs before they destroy you. Explode them with slowly falling depth charges while avoiding their mines. There are several kinds of sub each with different ways of moving and shooting. The game has excellent rendered 3D graphics, music and sound effects. The trial version has ten levels. Submarines for Mac is a nice game where you must destroy your enemies before they destroy you. Even though the name of this game is Submarines for Mac, you won't get the chance to submerge in one and shot at your enemies. You play this game as a battle ship that launches explosive charges trying to destroy as many submarines as possible. The idea of this game is simple. Destroy your enemies by dropping an exploding barrel right on top of them and avoid their mines. The water is not clear. There are many fish that can change your fate, or your enemies' fate. Those fish are pretty hungry. They can eat the explosive items, either the mines or the barrels. There are several types of submarines. Each type moves and shots differently, so you need to learn how to avoid their mines, and how to sink them. Passing a level brings you new and harder challenges. It also gives you the possibility to launch charges that are more explosive. Another consequence of completing a level is the military ranks. Passing several levels gives you the possibility to advance to a higher military rank. Because the full version of this game has 50 levels, it takes some time before learning how to pass them all. The program doesn't give you the possibility to save the game, but it gives you the possibility to enter a level password. At the end of a level, the game gives you the password of that level, so that you can enter it and jump directly to the next level. Pluses: it gives you the possibility to blow up your enemies, it is a nice and fun game. Drawbacks / flaws: the application is pretty unstable at startup. If you can launch it, then it works, but sometimes it takes a few tries to launch. In conclusion: if you would like to bring back some of the 2nd World War feeling on your desktop, without the risk of getting hurt, grab a demo copy of this game.